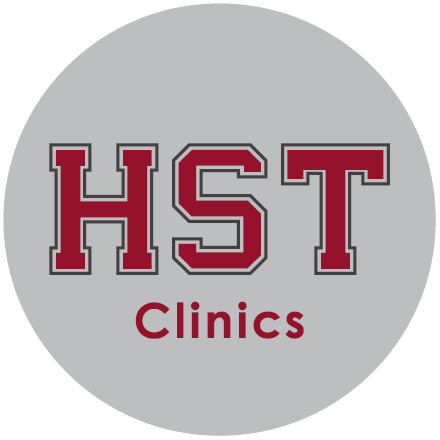 This one day camp on September 8th, 2019 will include both instruction and showcase formats. 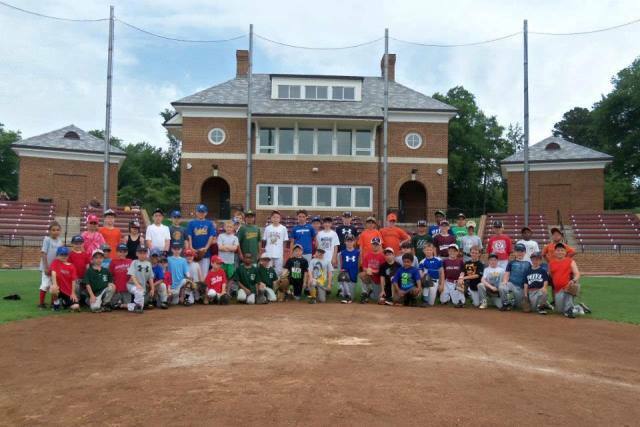 Campers will participate in batting practice, offensive and defensive drills. The day will conclude with a showcase game. Click here to download registration form and get more details. Click here to register online. ELITE PROSPECT FORMAT: The two-day prospect camp on November 16-17, 2019 will include all aspects of the showcase camp. The prospect camp will also include a more intensive instruction and practice segments so that campers will get a feel for what it takes to be a Tiger baseball player. Click here to download registration form and get more details. Click Here to register online. 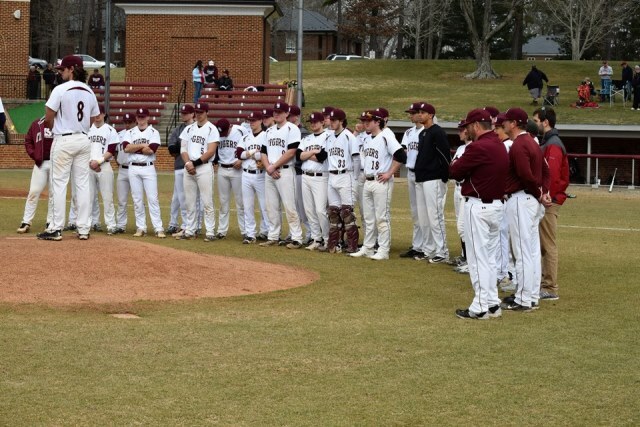 The Hampden-Sydney College Pre-Season Camp on February 10, 2019 will run for 1 day. The day will consist of two sessions. The morning session will feature camp instruction. Afternoon sessions will feature our showcase format. 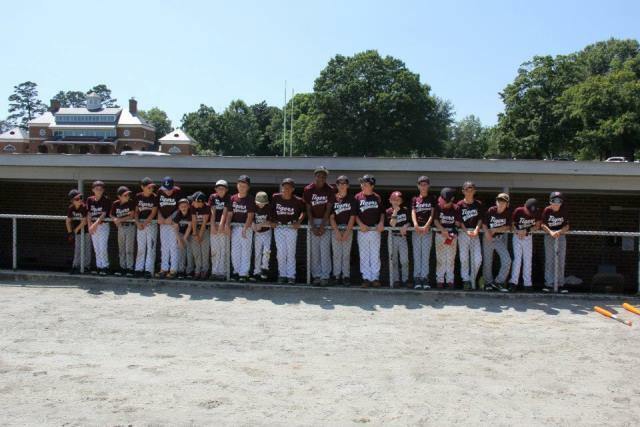 The baseball camp will feature on field batting practice to evaluate each players hitting potential. Also a pro-style infield-outfield will be used to help evaluate defensive skills. Games are set up to showcase camper’s maximum ability. 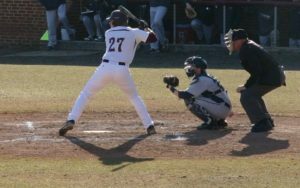 A coach pitch game will be utilized to feature defensive skills and hitting. A player pitched game will also be played on the game field to showcase pitchers and showcase pitcher’s maximum ability. To register online click here. 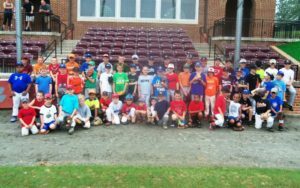 The summer baseball camp focus is on baseball instruction and drills to improve the skill. This youth camp will begin with an introduction of the fundamentals of baseball. 2019 Camp dates are June 10-13, 9AM-12PM. Cost is $125 prior to June 8th. After June 8th there will be a $25 late registration fee attached. Each day will begin with throwing and catching drills. The session will be followed by position training. Each player will learn about each position on the field. Each day there will also be a specialty skill learned. These skills will be base running, sliding, and bunting. Each day ends with games. Games are modified to meet the skill level of each age group. Players will be grouped by age. This will allow for safety and fun for players to be coached at their age appropriate levels. For more details click here.